Oak Park voters came out in force to vote at Tuesday’s Primary Election resulting in overwhelming support for two millage renewals for public safety purposes. As renewals, the passing of these two millages allow the City to continue capturing tax revenue at current rates which in turn allows funding and service to continue at current levels. “With the gracious support of our amazing residents, these renewals will help us to fund our long-term Public Safety pensions and retiree health care and support the personnel, equipment and operations of the Public Safety Department,” said Mr. Tungate. The Headlee Override Millage Renewal for Public Safety (Ballot Proposal No. 18-01) enjoyed 74.6% voter approval (4,778 of 6,402 votes), while the Public Safety Retirement System Millage Renewal - Act 345 (Ballot Proposal No. 18-02) received 70.06% voter approval (4,489 of 6,407 votes). Voter turnout was impressive for the City. 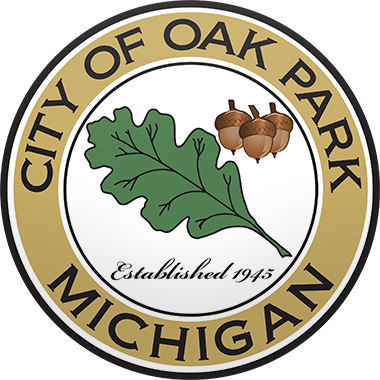 Out of the 24,034 registered voters in Oak Park, preliminary reports are showing 7,335, or 34%, ballots were cast. By comparison, during the City’s two previous primary elections, voter turnout averaged between 17% to 21% voter turnout. *Election results have yet to be certified by Oakland County. Oakland County election results can be found on the Oakland County Clerk’s website at http://bit.ly/PrimaryElectionAug2018.